Outside of being a great tourist spot and a long-standing strategic naval port, the island of Malta has little to offer the global economy despite being a full member of the European Union. However this may soon be changing as the nation of less than 500,000 residents is vying hard to become a major cryptocurrency and blockchain technology hub in Europe. Another major cryptocurrency exchange is about to set up shop in Malta, cementing the small Mediterranean island nation’s status as a burgeoning hub for cryptocurrency startups. “Malta’s Virtual Financial Asset Act is a solid foundation for the industry and the government to work together in fostering the nascent blockchain/digital asset industry. More specifically, Malta’s sound risk-based approach will help cultivate a responsible, compliant, and healthy ecosystem,” explained Tim Byun, chief risk officer and head of government relations at OKEx. 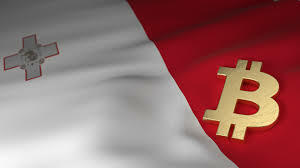 Malta, on the other hand, has begun actively courting cryptocurrency firms. Government officials have said that they want to transform the EU member state into a “Blockchain Island” through the passage of blockchain-friendly legislation.